We love fashion as much as we love fighting poverty and love that we can combine the two! We have lots of resources and blogs that can give you an insight into what we do and how you can be a part of Oxfam's ongoing fight against poverty and humanitarian inequality. There is also helpful information on our Shop's Oxfam homepage http://www.oxfam.org.uk/shop/local-shops/oxfam-shop-exeter which provides links to the items we sell online and feeds to facebook and twitter. As well as our own, Oxfam has it's own Fashion blog http://www.oxfam.org.uk/fashion-blog and its own Twitter feed www.twitter.com/OxfamFashion which provides information and news about the latest trends and campaigns that we're involved with. There is also great information about getting involved here http://www.oxfam.org.uk/get-involved and, specifically about volunteering, here http://www.oxfam.org.uk/get-involved/volunteer-with-us . We are always keen to hear about what you are doing yourselves and how you are making the world aware of what we do here at Oxfam, so tweet us www.twitter.com/exeOOSoxfam or e-mail us at oxfamshopf3229@oxfam.org.uk if you want to let us know what you're doing or planning, or want more information on volunteering here in Exeter. You can also call us on 01392 437385 if you would like to speak to us about volunteering or anything else. Here in Exeter we've developed a love affair with the item's we sell and can't wait for them to find a new home! Some get snapped up quickly so don't delay! Just click on the links to find out more about our favourite items. Pedro Mulet red handbag with gold coloured chain. Dents small purple handbag with loop hands and ruffled effect on the outside. Ghost petite black dress with gorgeous patterning. Retro Plus size 14 black and white patterned dress with colourful geometric splashes of colour. 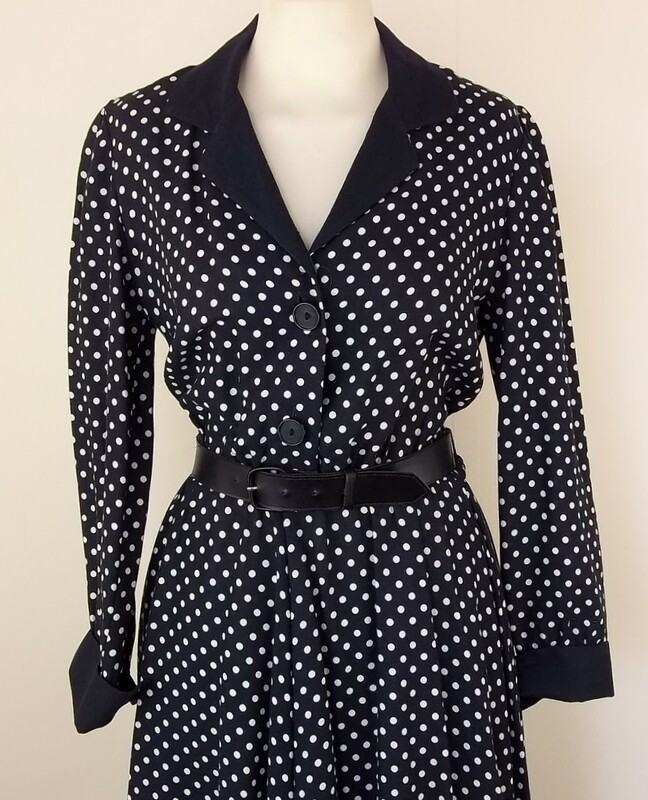 Vintage Enrico Serrati small black and white print dress. Absolutely beautiful. Vintage Anokhi blue and green floral dress that is perfect for an understated, vintage summer look. Mitsy size 12 white dress with shoes and handbags print pattern. Fantastic for summer. Beautiful brand new Dagnez size 14 bronze halter-neck evening dress. A bargain. Vintage M&S size 12 long red dress from the 70's and 80's era. So summery. Designer medium size cream and yellow coat by Roland Mouret, made in France. Stunning. If you want to browse any of our other items visit our shop: http://www.oxfam.org.uk/shop/local-shops/oxfam-shop-exeter and click 'see all items for sale'. As many of you will know, 1st - 7th June is volunteers week around the UK and here at Oxfam we want to celebrate it! We're hoping to run little training sessions on Friday 1st, Monday 4th and Wednesday 6th to give everyone a taste of what we do here in oxfam. Whether its as part of the shop floor team, sorting and pricing team or joining us here on the top floor to find out all about the online side part of Oxfam, we would love to have you. Volunteering isnt just for these 7 days though. We have a wonderful team here who not only enjoy the days they volunteer, but have also found that volunteering has changed their lives in someway or another. Most have had the chance to learn new skills or meet people from different backgrounds and so many finish each day in a positive frame of mind knowing that even just an hour has made our fight against poverty easier. Like us, I'm sure you can't wait for those glorious sunny days when you can rock your favourite frock or (board shorts) and frolick barefoot on the beach. We're hoping that those days aren't far away and are putting some fantastic clothes onto our snazzy new website. There's so much to choose from! Elegant floaty dresses to daring skirts or tailored shorts to checked shirts. And don't forget those every so important accessories. We've got a deluge of gorgeous scarves ready to go online, including many that are 100% silk and have that beautiful vintage style to them. And what do you need to carry everything around in but a fashionable and practical handbag (or rucksack if it's a big day out!). We have so many items on our website to cater for all your needs! We look forward to hearing from all of you lovely people! Here at Oxfam (not only in exeter but for all our online shops) we are updating our website, enabling us to bring you new features, clearer menus and easier ways to navigate all the news and items we have. To celebrate this, we're looking for more fantastic volunteers to join our wonderful team online and in the shop. Do you have a persuasive way with words? - Then join our listing volunteers who add our items to our website and use their talents to sell our brilliant donations. Eye for photography? - Join our photography team. These people have an eye for detail and show our donations off to their very best. Want to make sure the customer gets what they want? - Join our dispatch team. Every member of this team is neat and guarentees that all our customers purchases arrive in tip top condition. If you want to do more than just one job listed here we would love to hear from you. You can drop by at 96 South Street, Exeter, EX1 1EN. It's official! The summer is here and it's time to rock those frocks. To celebrate the arrival of summer we are going back in time and picking out some of the amazing vintage items that we have in stock. How about... a 50's silk dress? 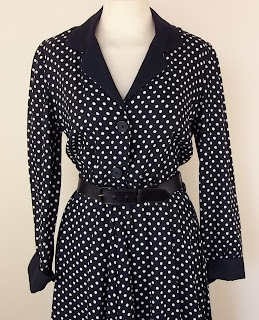 A 60's evening dress with black and white animal print? Since our refit during January and February, our volunteers have been working hard on listing the generous donations we've received and posting the items that you've kindly bought from us. It's been a fantastic few weeks for us during march and I've been overwhelmed by the efforts of my team and now i'm happy to report that we have alot more room in our online area and would love some new volunteers to help fill up all this empty space! If you're worried about anything to do with becoming a volunteer here in exeter and working for the online side of our business, please dont be afraid to contact us. Details about what you would do as a volunteer are outlined in other posts on this blog.